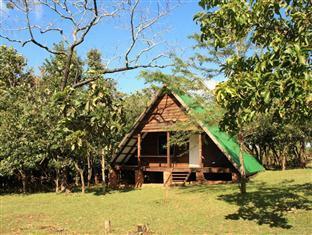 Nestled in the heart of Sen Monorom, Nature Lodge is an ideal spot from which to discover Sen Monorom. The excitement of the city center is only 2.0 km away. With its convenient location, the hotel offers easy access to the city's must-see destinations. Take advantage of a wealth of unrivaled services and amenities at this Sen Monorom hotel. To name a few of the hotel's facilities, there are bar/pub, coffee shop, car park, tours, pets allowed.Experience high quality room facilities, including shower, complimentary bottled water, balcony/terrace, to help you recharge after a long day. The hotel offers wonderful recreational facilities such as garden to make your stay truly unforgettable. Superb facilities and an excellent location make the Nature Lodge the perfect base from which to enjoy your stay in Sen Monorom. Designed for both business and leisure travel, Mayura Hill Resort is ideally situated in Sen Monorom; one of the city's most popular locales. Situated only 1.00 Km from the city center, guests are well located to enjoy the town's attractions and activities. With its convenient location, the hotel offers easy access to the city's must-see destinations. Take advantage of a wealth of unrivaled services and amenities at this Sen Monorom hotel. For the comfort and convenience of guests, the hotel offers family room, laundry service/dry cleaning, Wi-Fi in public areas, shuttle service, concierge. All guest accommodations feature thoughtful amenities to ensure an unparalleled sense of comfort. The hotel's recreational facilities, which include garden, jacuzzi, pool (kids), outdoor pool are designed for escape and relaxation. 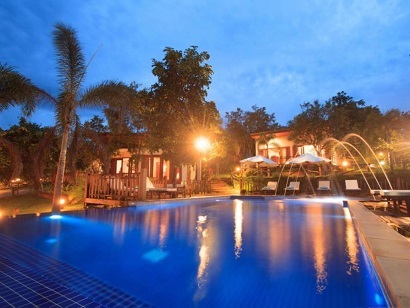 Whatever your purpose of visit, Mayura Hill Resort is an excellent choice for your stay in Sen Monorom.